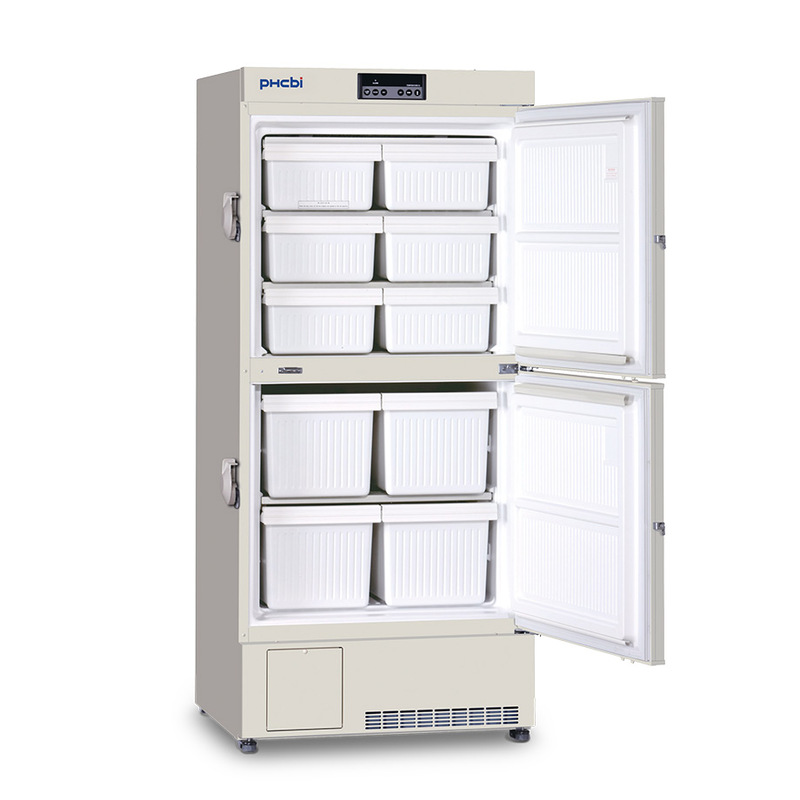 The PHCbi upright clinical-grade freezer is designed for short- and intermediate- term storage of biologicals. 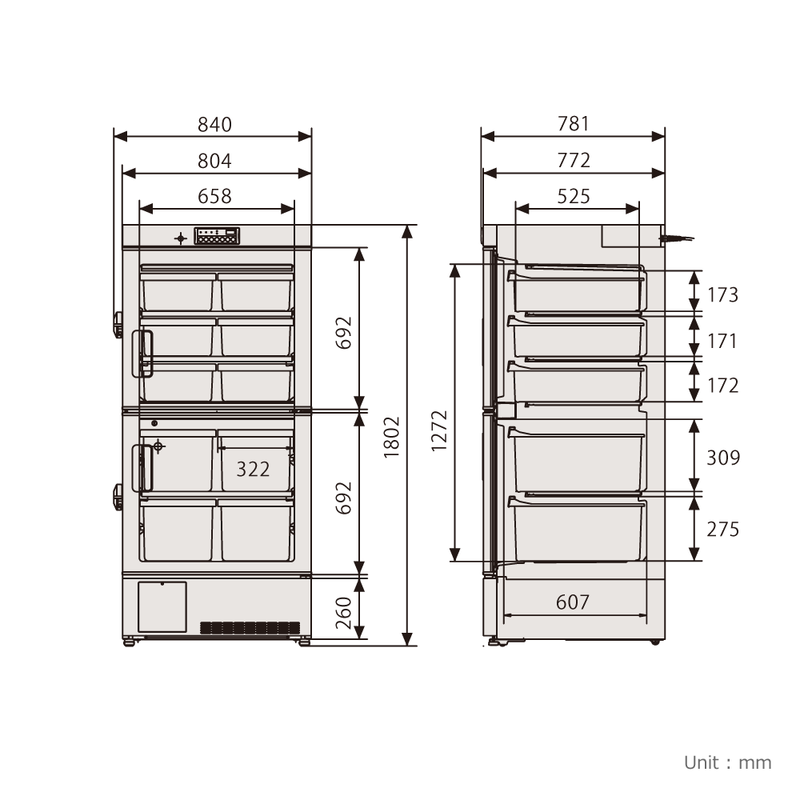 The unique double door design provides two independent storage areas in one cabinet, which is ideal for sharing secure freezer storage space with another researcher in your lab or with another lab in your facility. The robust clinical-grade refrigeration system, powered by PHCbi compressors, provides dependable cooling by balancing temperature performance and energy management. Each chamber maintains temperature by utilizing a cold floor/cold shelf evaporator design. A manual defrost means straight line temperature performance plus outstanding uniformity and stability without temperature spikes associated with automatic defrost cycle freezers. 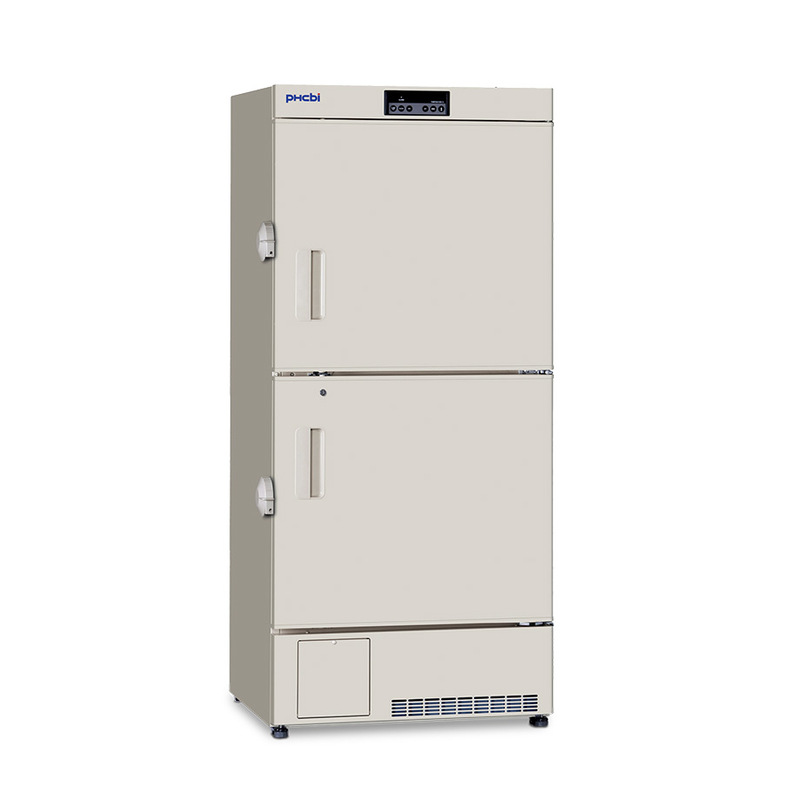 The PHCbi biomedical freezers are designed for safe, reliable storage or biologicals. The advanced combination of cabinet design, electronics, refrigeration and critical components are engineered for enhanced security, performance and reliability. The MDF-U5312-PA is an ideal storage environment for enzymes, plasma, vaccines, test samples, reagents, test kits and other biologicals. Energy efficiency in PHCbi biomedical freezers is achieved through balanced temperature performance and power management. Two insulated outer doors seal firmly against the cabinet to help minimize change in interior temperatures during routine door openings. With a double door design, when one door is opened, only half of the chamber is exposed to lab ambient. Outer door latches feature an ergonomic design that allows one-handed access for comfortable operation. Balanced door hinges stop at any angle from 35° to 90° for user convenience. The PHCbi microprocessor with LED display includes comprehensive setpoint, alarms, monitoring and diagnostic functions. Constant monitoring of ambient and system conditions allows the user to take quick action if any abnormalities were to arise. Self-diagnostic error messages notify you to take corrective action. An intuitive control panel allows for easy programming of operating temperature and alarm settings. 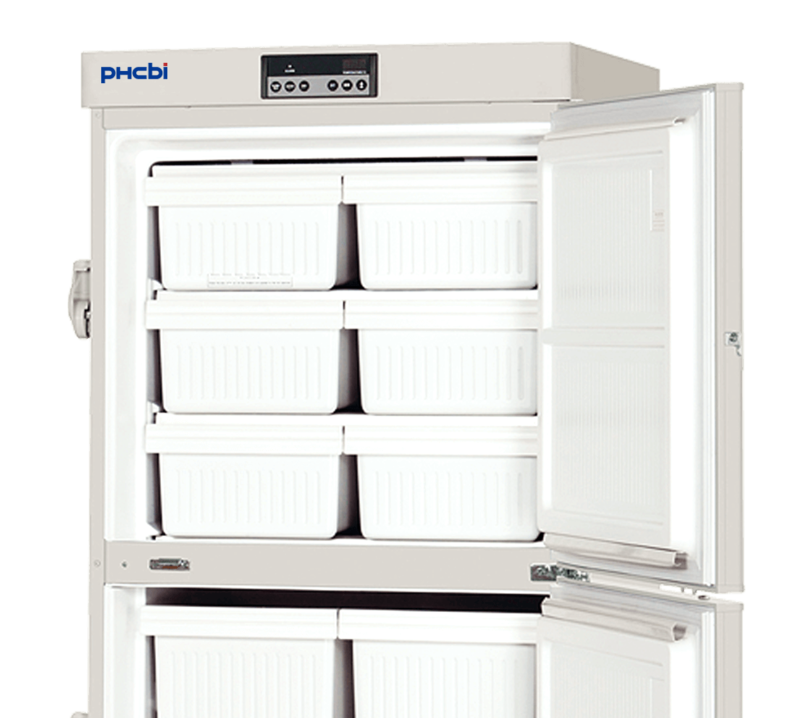 The PHCbi High Performance Biomedical Freezers series are designed for short- or intermediate-term storage at temperatures as low as -30°C. Constructed with high performance laboratory and clinical-grade refrigeration systems, these freezers are used in medical, biotechnology and industrial labs for storage of blood components, enzymes, culture media, reagents, specimens and vaccines. 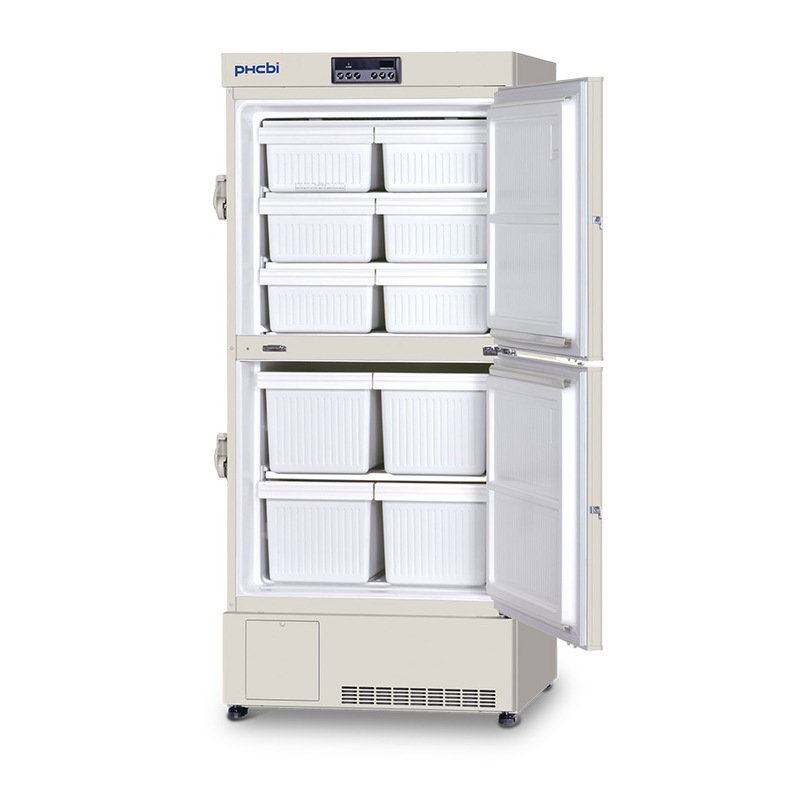 The MDF-U5312-PA upright clinical-grade freezer provides excellent performance reliability, uniform temperature, manual defrost and a microprocessor with LED display and alarm system.